I think this was my own fault for the main part. The only Toad recipe I had to hand was from Delia Smith. Mindful of the fact that I was meant to be producing an ‘Ultimate’, not a ‘failsafe’ Toad, I initially discounted Delia on grounds of unsexiness. "Sometimes the batter in a traditional toad in the hole can be on the heavy side. In this recipe, the eggs are separated and the whites whisked up and then folded into the batter at the end, giving you a light batter that puffs up beautifully in the oven." I was greatly encouraged by this statement and decided to combine the technique in Gordon's recipe and the quantities and ingredients in Delia's recipe. 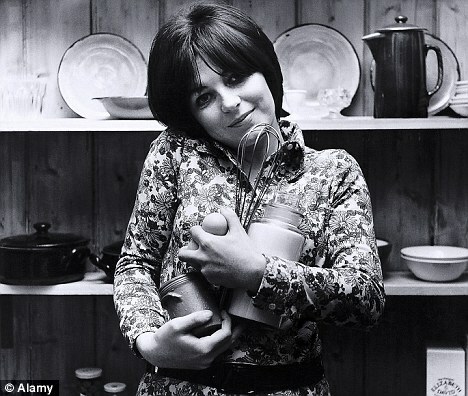 I knew from the outset that I would use Delia's recipe for onion gravy, because it sounded very easy and minimised the risk of lumpage. It was only at the eleventh hour that I realised if I were to whisk and add the egg whites at the last minute, I would have to do so in front of my guest. I hate doing prep like this after people have arrived, because my kitchen sits directly across from my dining table and doing something so messy and noisy doesn't contribute to an evening's ambience. So instead, I prepared the whites in advance, reasoning that once they were folded in to the batter, they would simply ‘rest’, as they do when I make macarons and this wouldn’t adversely affect the recipe. Except that when I tried to fold the whites in, they refused to be folded and simply bobbed about on the surface of the batter, in sullen lumps. I’d already washed up the beaters for my electric whisk so I gave the whites an angry, vigorous stir. Of course, this almost certainly eliminated all traces of air from the batter. You can probably see from the photographs just how little air managed to stay in the mixture. Also, I think the quantities specified for the batter were insufficient. Scaling up to allow for the different tin sizes in each recipe, Gordon's recipe called for twice the amount of liquid compared to Delia's and certainly, it was proven later in the week that the amount of batter used in Delia's recipe, simply isn't enough to produce a generous hole for your toads to emerge from. The Toad Was Horribly Overcooked. The sausages were among the most leathery, moisture-deprived that I’ve eaten. I feel confident in stating that had I thrown a sausage out of the window, as I was tempted to do when they emerged from the oven, it would have substantialy bruised anyone who happened to be passing by. It was completely my own fault for being lazy and easily distracted. Matt at Amuse Bouche had advised braising them. What a good idea. Unfortunately, I simply couldn’t be arsed with the extra hasle and washing up. Gordon said to roast the sausages in a 220C oven for 20 minutes. Delia stipulated 10 minutes at the same temperature. I listened to Gordon. Ooof. It didn't occur to me that this would give the sausages a total cooking time of 50 minutes! It also didn't help that I got distracted by making the gravy and by chatting to D. So I didn't hear the oven timer and the Toad stayed in the oven for about seven or eight minutes more than it needed to. Anyway, I had to serve the poor creature at my table something for dinner and by this stage I was too cross and hungry to make something else, so I slapped two triangles of distinctly toast-shaped and textured Toad onto a plate and hurled some kale at the rim, before pouring over the gravy. Having sat watching me slamming pans onto the stove and swearing profusely at any inaminate object that dared to be in my way, or was not where I expected it to be, D., rather wisely, declared that the Toad “tasted alright”. I think you can see for yourself what a polite, white lie that was. We both declared the onion gravy to be a success, although privately, I thought it was a bit too oily. Your witness: the glistening plate below. After sulking for a couple of days and finding another pack of sausages in the freezer, I decided that I was not to be beaten by flour and milk and that I would make a second attempt at producing the definitive, if not necessarily the Ultimate Toad. No fussing about with untested or mutated recipes this time. I went with Delia. Except this time, mindful of the lack of batter in my last effort, I increased the quantities Delia specified for the batter by approximately 50%, e.g. where Delia specified 3oz flour, I used 5oz. Who knew? Following a recipe and paying attention to a dish while it's being cooked, pays dividends! No mucking about separating eggs this time. I simply beat them together with the milk and combined the wet and dry ingredients. I was extremely careful with my timings. I gave the sausages 10 minutes' browning time and only cooked the Toad for 25 minutes, meaning 20 minutes less in the oven than Toad Number One. I used less oil, but it was still too greasy. Once the gravy had cooled and I skimmed off the excess fat, it was fine once reheated and served with the substantial amount of leftovers the next day. Do you know what? After all the aggravation, having produced a really rubbish Toad and a quite good, maybe even very good Toad, I’ve reached this conclusion. Toad In The Hole is too much faff for too little pleasure. The leftovers don't re-heat very well, something which I'll remember if I'm ever tempted to order Toad from a pub menu in future. It doesn't look spectacular; certainly, I would never serve it as a dinner to guests again. I think it's probably a winner if you need to bulk up a cheap family meal. I'll be eating the last portion of leftovers this evening and frankly, I'll be glad to see the back of my Toad. After eating the first portion of Toad Number Two, I started thinking about how it could be made more exciting; by braising the sausages in red wine, by adding spices, etc. But then I thought about how delicious a sausage and lentil casserole is, how effortless it is to cook and how it tastes even better for being reheated the next day and the day after that. Still. I'm glad that I conquered Toad. And it's good to know that should I ever need to make a meal that can also serve as a blunt object in the event of a burglary, I know what I need to do. LOL - Well done for conquering that retromingent (Look it up) toad! You are a hoot! And thank you for the effort in your entry - I do a round up of the entries in the next couple of days! I love toad in the hole but have not yet mastered the art of making it well myself. I get a bit scared of things that have to be "blisteringly hot" as I think Delia described the fat in the tray in How to Cook. I hadn't heard about this Toad Battle but will go and investigate! Thanks, @Matt! I had to write this up as catharsis. There were a few minutes after cutting into Toad 1 where I was being 'talked down' from throwing it out of the window, frisbee-style. @Sarah - I didn't mention in the final edit, but when I made the first Toad (the crap one), I heated the oil and tin over a flame and found that he batter started cooking even before I had a chance to spread it over the tin. Another possible contributor to the toad being frazzled? I only heated the oil in the oven before adding the batter with Toad 2 and ignoring Delia's instruction didn't have an adverse effect.